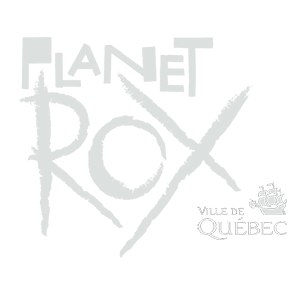 Each participating band need to register on planetrox.ca and a link to one of their original songs – and a panel of international industry judges will choose 5 finalists. The 5 finalists per region will perform live at the final in their area and an audience vote (25%) combined with the panel of industry judges’ vote (75%) will determine the winning band. The winning band from each of the regions will be invited to perform at one of Canada’s biggest live music events, the Envol et Macadam Festival in Quebec City from September 6th to 8th, 2018 and will received 1000 $ cash, courtesy of Attraction radio. The winners of every regional finale will perform at the 2018 Canadian Planetrox final on September 6th during the Envol et Macadam Festival. This will include accommodation at Le Concorde Hotel in Quebec City (for bands living at more than 100 km of Quebec City) on the night of the finale. One winning band will pick at the end of the Canadian Planetrox finale to perform a 30 minutes show during the festival as well as a 1000 $ cash prize, courtesy of Attraction radio. This will also include accommodation in Quebec City (for bands living at more than 100 km of Quebec City) for the rest of the festival. A winning bands among all the winning bands, from Quebec or on the international level, will be picked to give live performance of 20 minutes on the main stages of the 2018 Envol et Macadam Festival, according to the schedule. The organizers will provide during the entire competition the basic equipment needed (six-piece drum kits with 3 crash, 1 ride and 1 hi-hat, a bass amplifier, two guitar amplifiers, microphones and monitors. The guitar players will need to provide their own guitar heads). There will be a panel of judges at the Qualifying Competitions The judges’ vote (three people) will be recognised people from the music industrie. There will be no soundcheck in the Qualifying Competitions, except for the first band to play on stage. All bands taking part in the festival, if possible, be given a 10-minute soundcheck. Soundchecks will be allotted in reverse order to the running order. Which means the band last on stage does the first soundcheck and the band first on stage does the last soundcheck. Times for soundchecks and onstage times will be given to each band. The playing order will depend of the musical style of the band which will be determinate before August 10th. If any band misses their allotted soundcheck or onstage slot in the festival, the organizers will make all efforts to fit them in elsewhere. However, if this is not possible the band is liable to do not participate. PLANETROX and its respective directors, partners, affiliates, officers and employees assume no liability of any nature whatsoever in any case where their inability to act resulting from an event or situation unforeseeable or beyond their control, including strikes, lockouts or other labour disputes at their location or the locations of the organizations or companies whose services are used for this contest. Participation in this contest signifies the participant’s full acceptance of these rules. All decisions and judgements by PLANETROX are final.